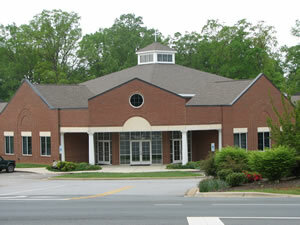 Grace House Preschool exists to focus attention on God’s grace as He transforms us into a community that delights in Him, is marked by selfless care for others, and proclaims the gospel of Jesus Christ with gospel-transformed words, relationships, vocations, and lifestyles resulting in the transformation of the communities of the Triad and the world. Care is taken to work with children according to recognized standards for childcare and early education. We seek to promote creativity, to expose children to learning through play, unit lesson studies, art, music, etc. We want to help them learn values and ideals through being exposed to Christian beliefs and be the person God intended for each of them. The emotional, social, physical and intellectual development of each child is the major goal of the staff. In other words, the total personal development, according to his/her individual abilities and needs, is our primary concern. The Gospel is the center of all of our activities at the Preschool. We seek to support the “parent-child” relationship and not to compete with families, but hope to be a part in building relationships with families in our community. Grace House Preschool was formed in September 2003 as an extension of Grace House, a non-profit organization, that was created to help meet the needs of widows and orphans. The preschool began as a Parents Morning Out Program, added 2 and 3 year old classes in August, 2004 and a 4 year old program in the Fall of 2005. Grace House Preschool does not discriminate against gender, race, religion or ethnic origin.